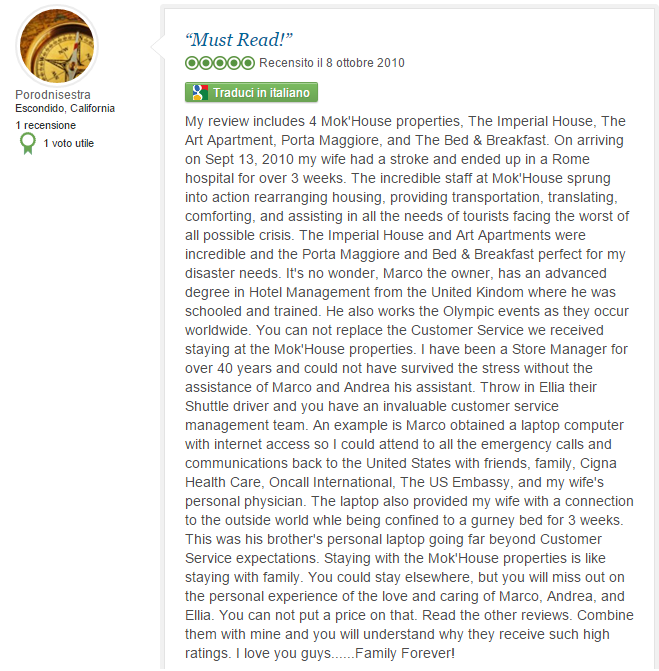 We recognize the great value of each of your reviews and the best reward for us is to know that we succeeded in providing you an experience above your expectations. 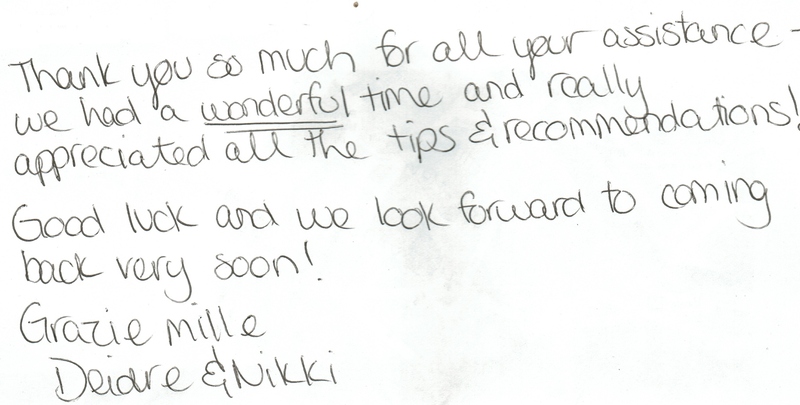 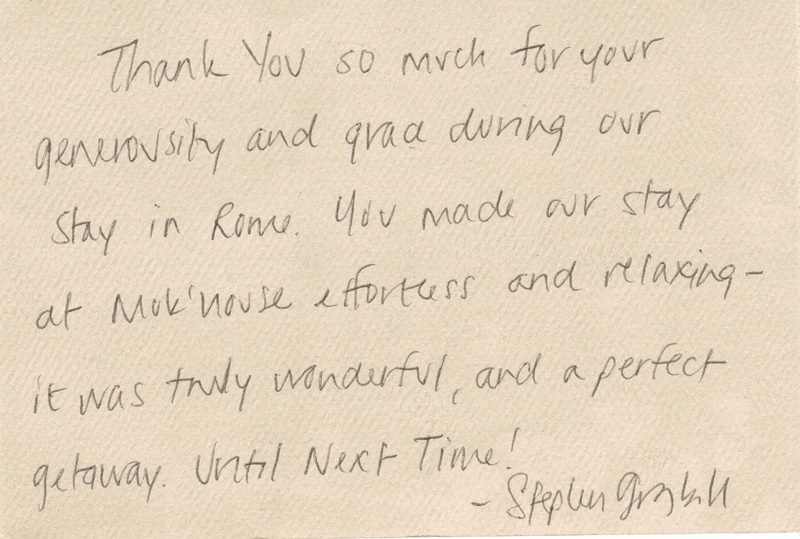 You can tell we work with passion and each sacrifice is completely paid back by your lovely words. 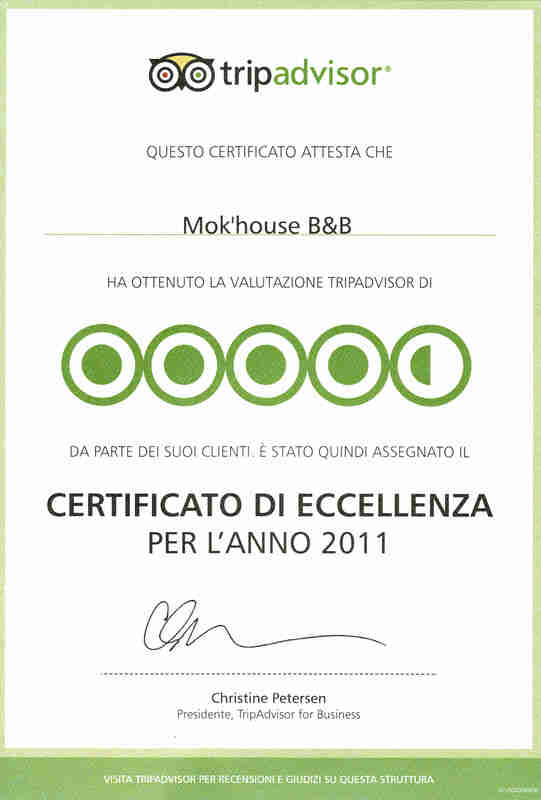 Thanks to your reviews we have been awarded with seven consecutive Certificates of Excellence (since 2010) and we are also constantly looking at improving your experience taking the most out of your comments, opinions and suggestions. 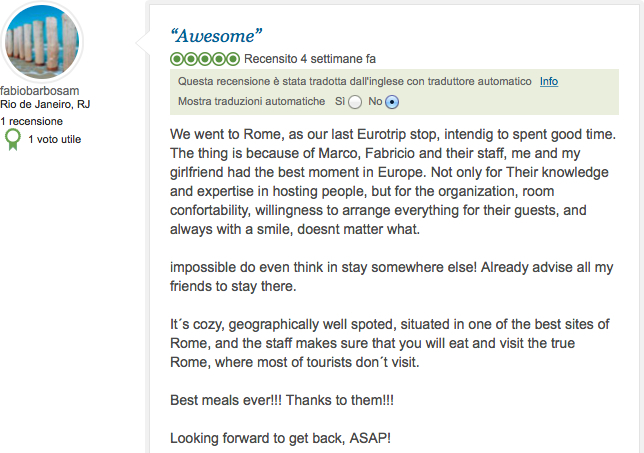 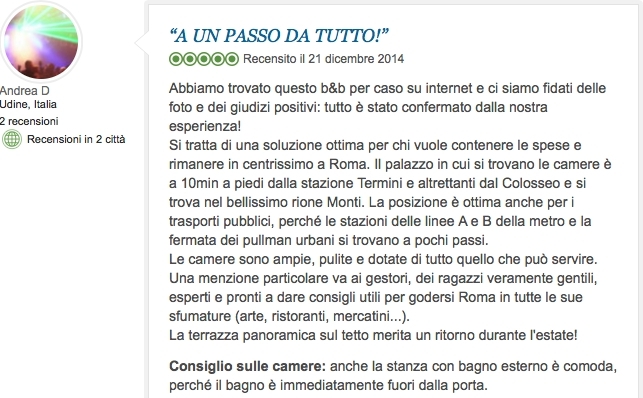 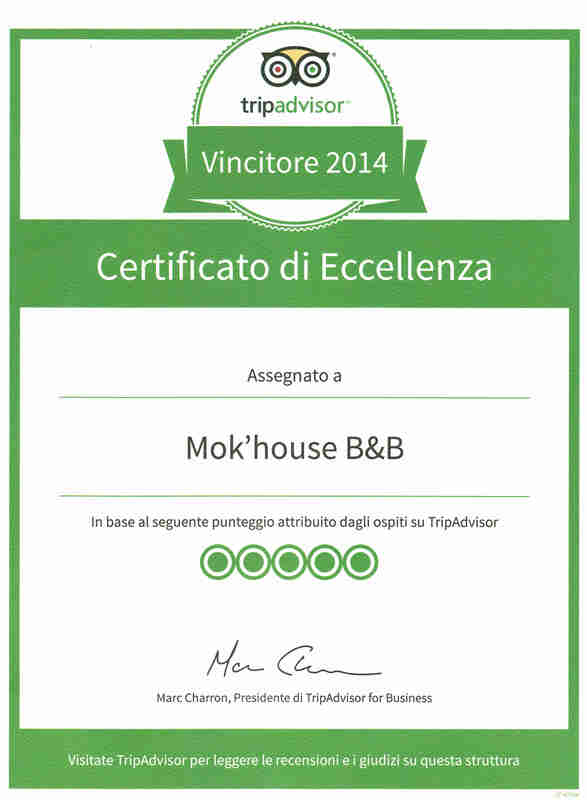 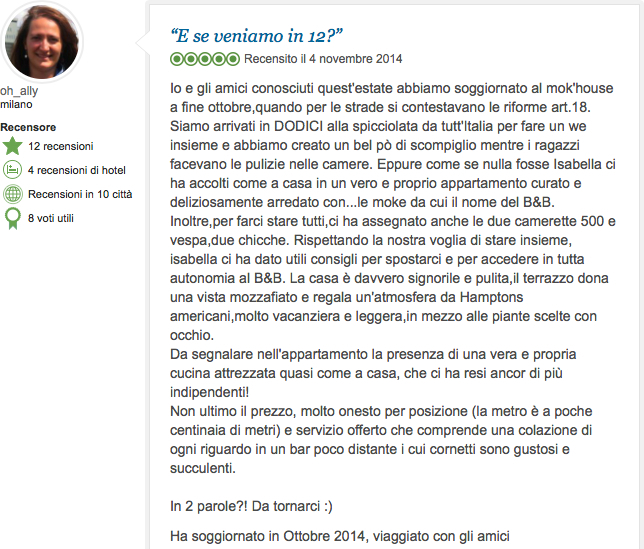 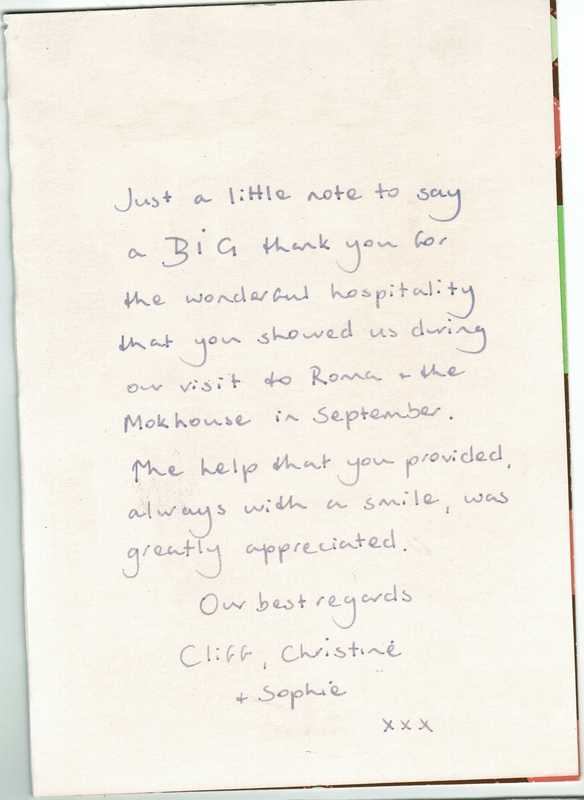 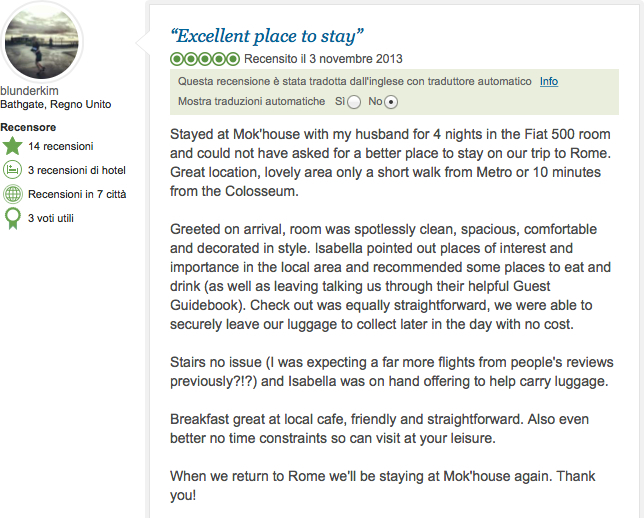 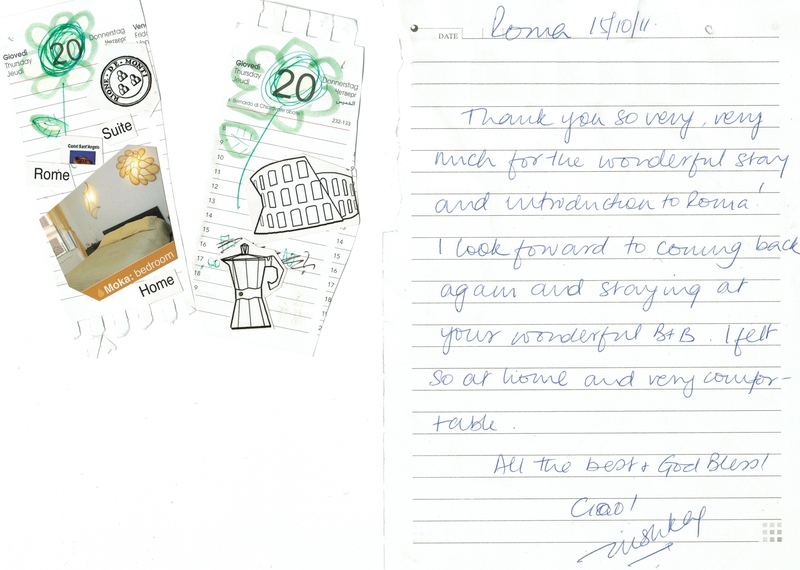 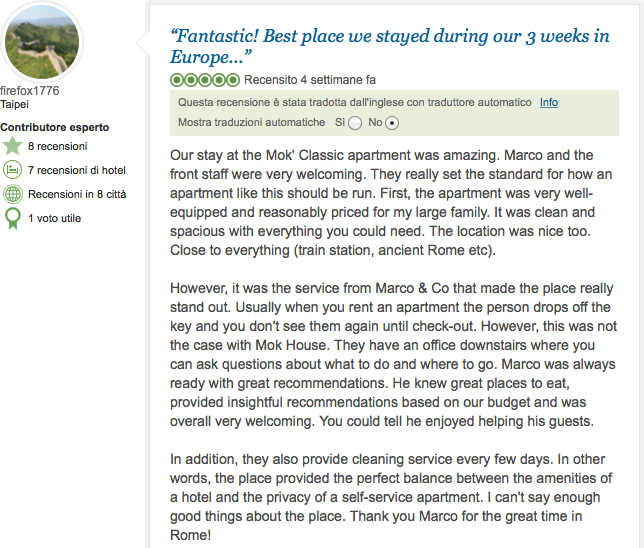 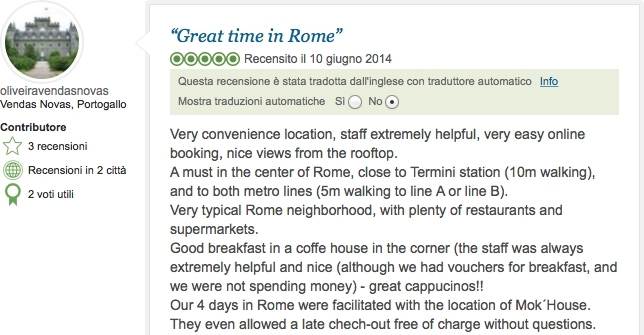 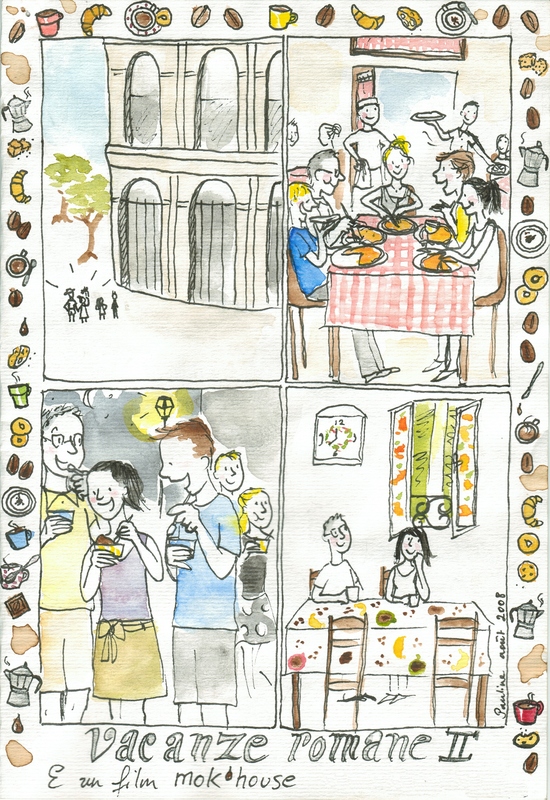 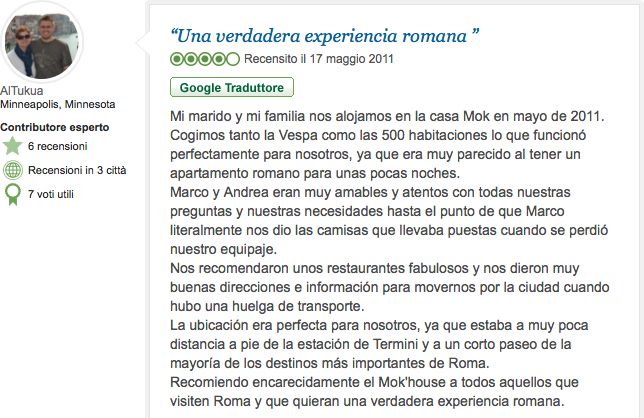 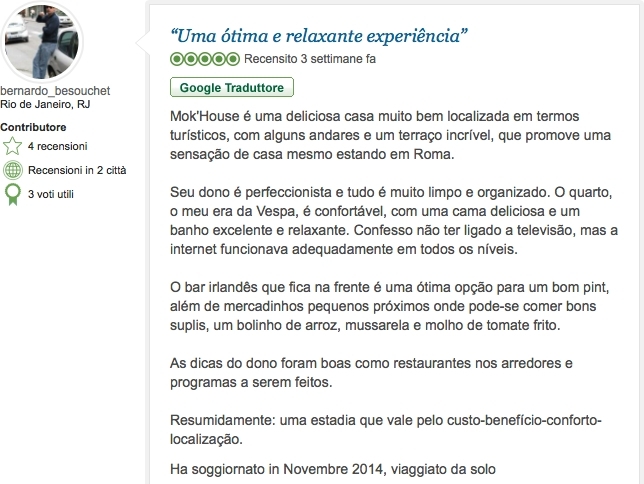 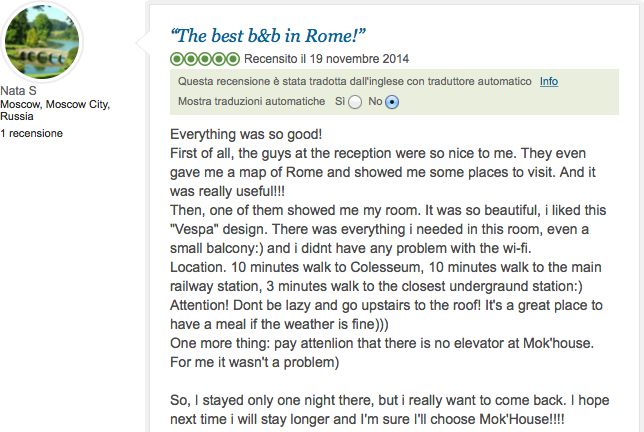 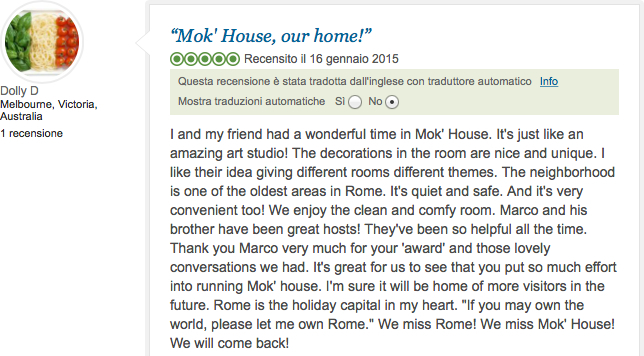 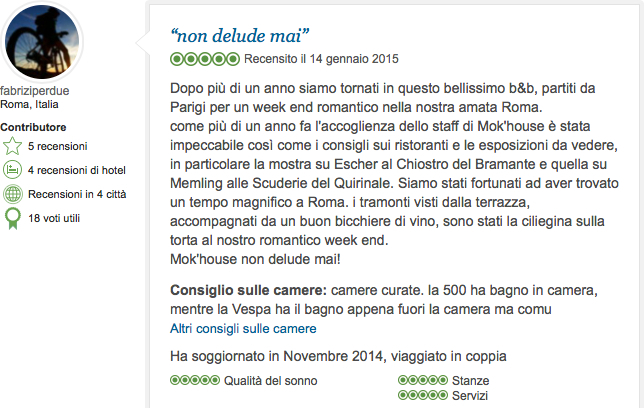 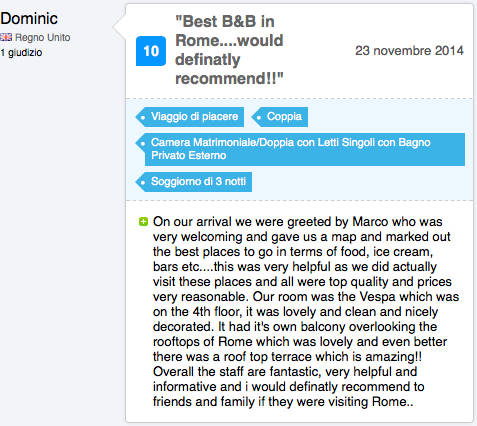 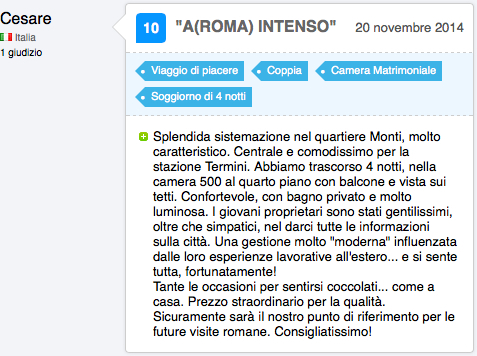 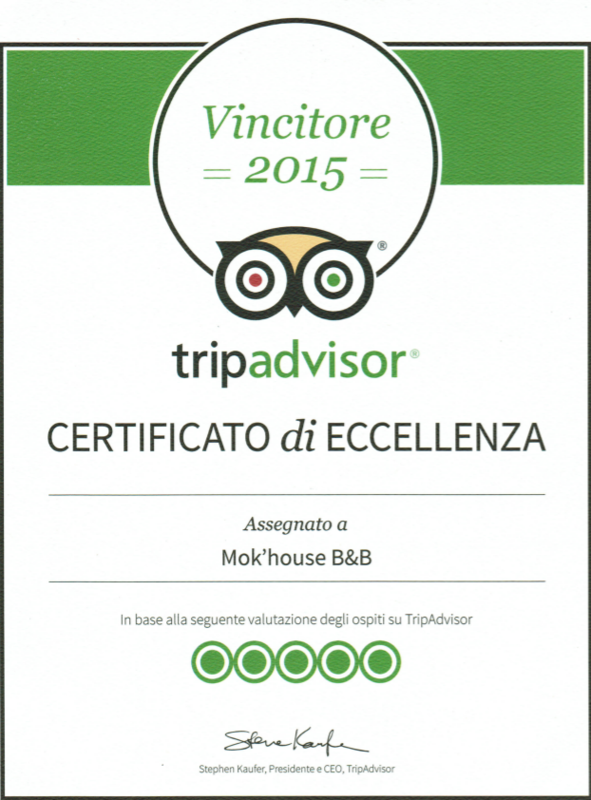 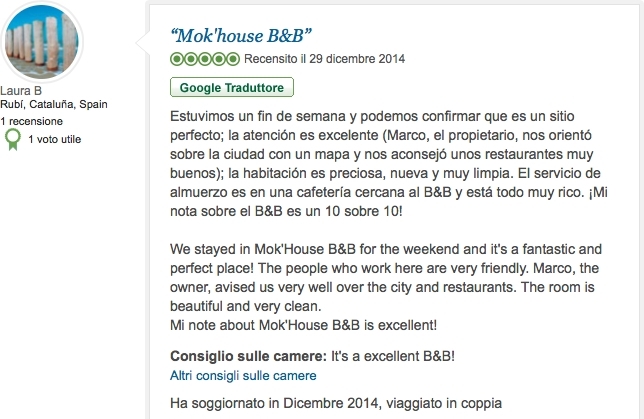 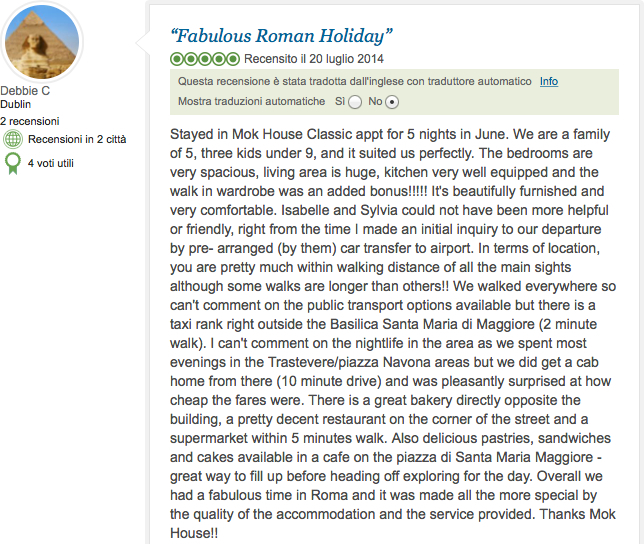 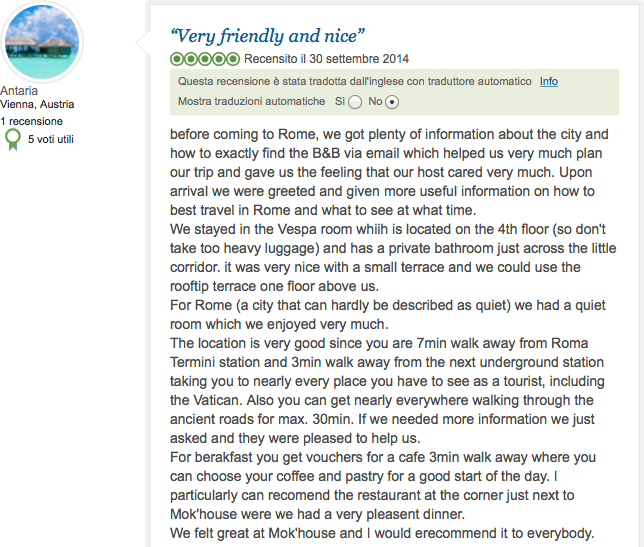 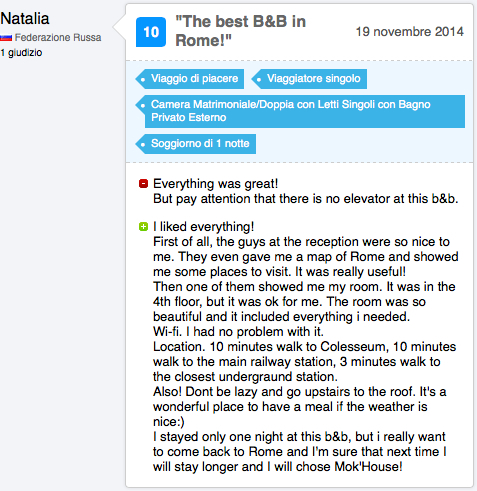 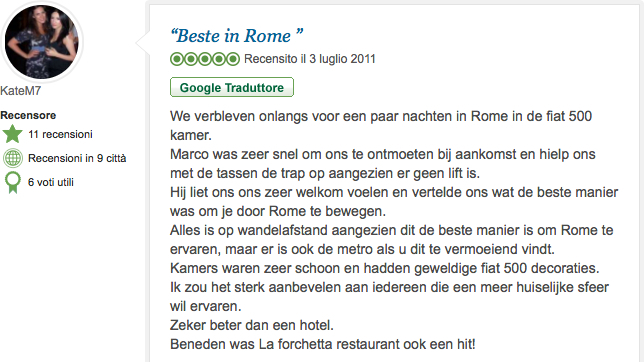 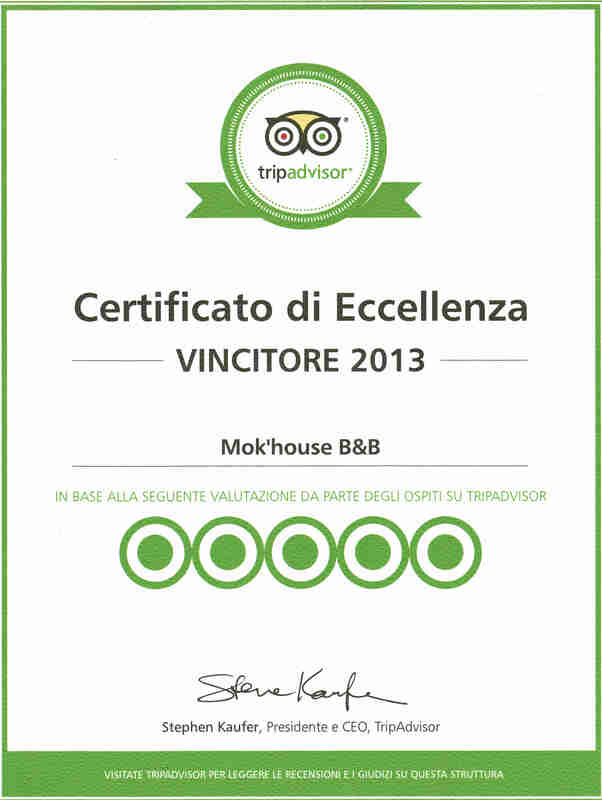 Our best reward is to hear that you will be back one day, or when we hear that someone has recommended you to stay at mok’house because they have found a second home in Rome. 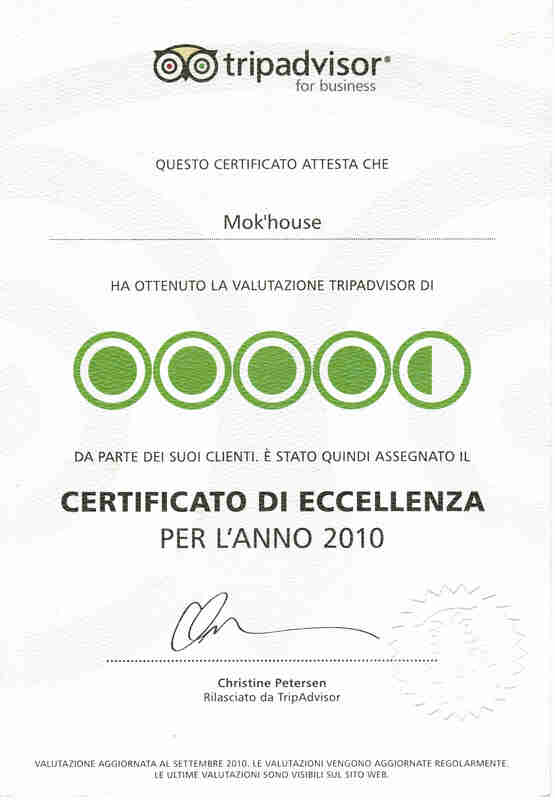 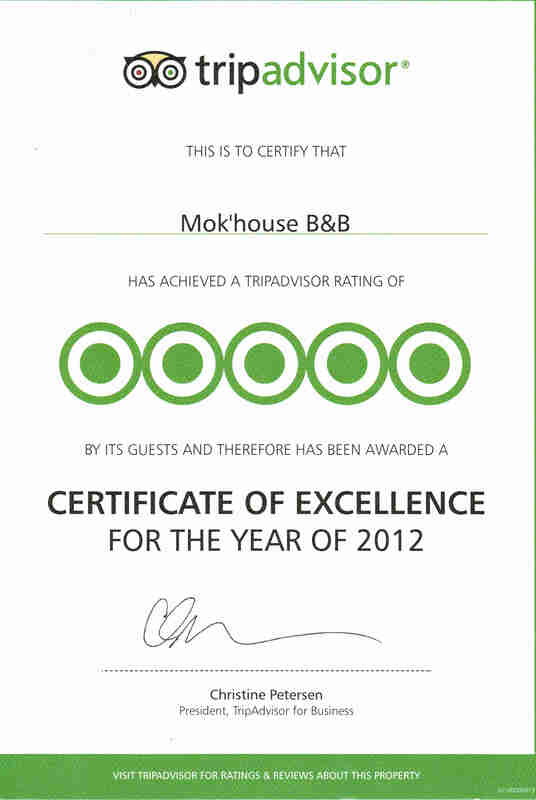 For those of you who are still in doubt if it’s worth booking at mok’house or not, we hope this page helps you to take the right decision (which might be not to book). 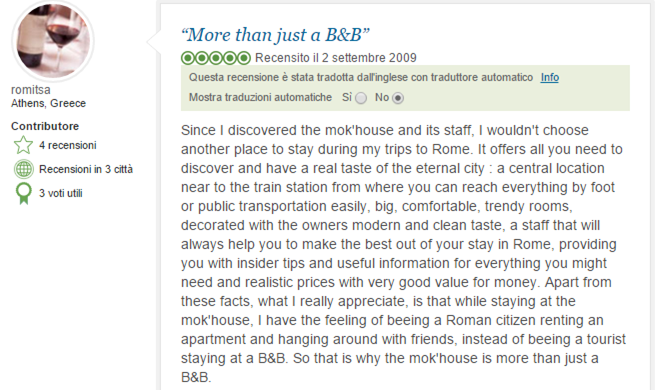 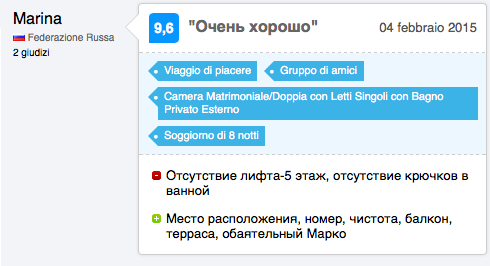 We aimed to make it simple for you to verify our real web reputation before booking. 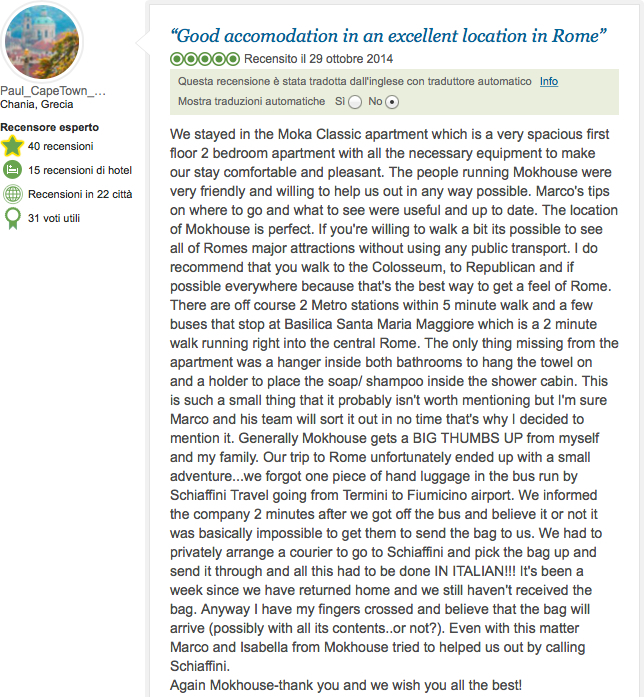 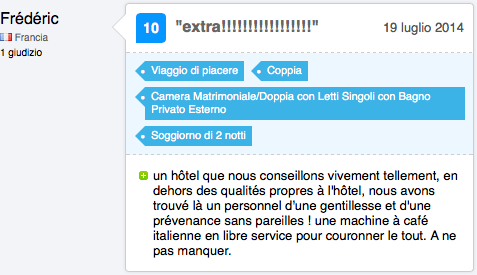 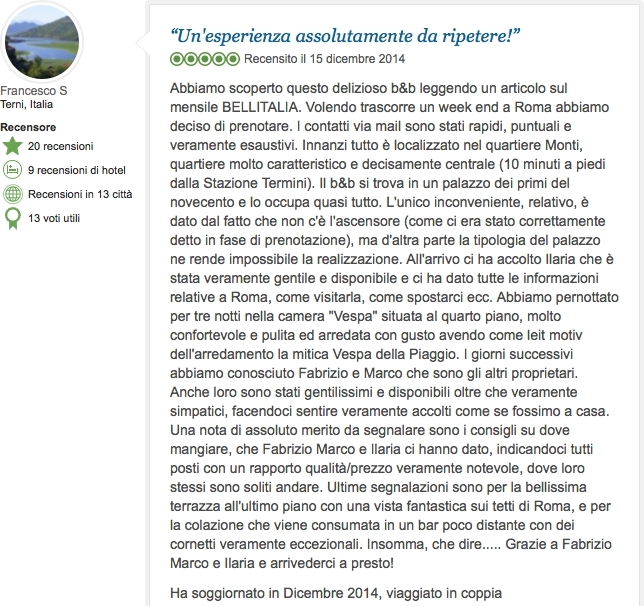 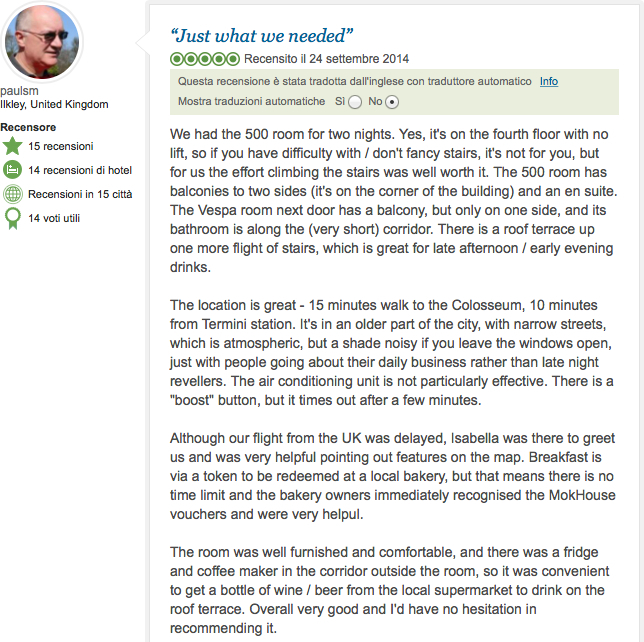 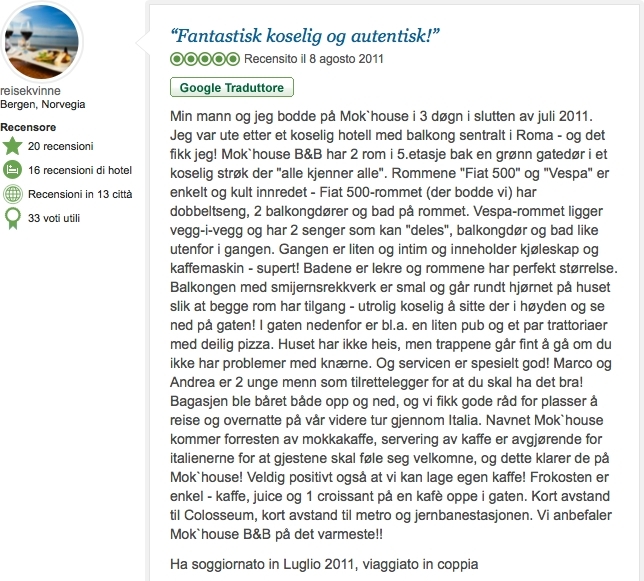 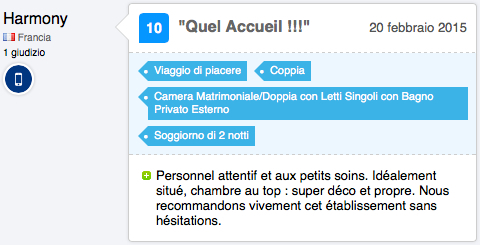 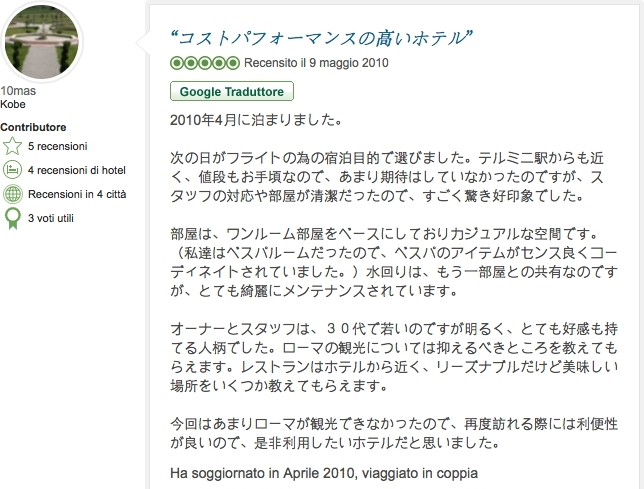 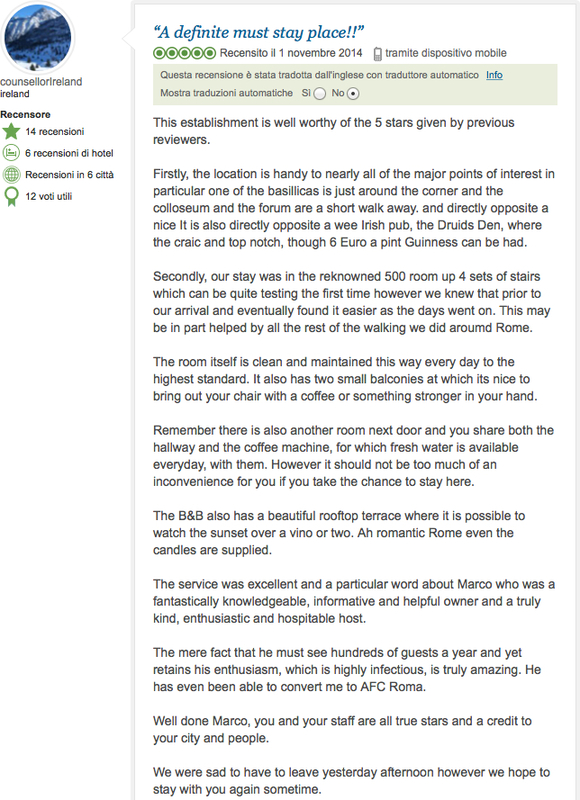 Here below you we have selected for you a few of the hundreds of reviews posted by our guests on some of the most important online booking sites. 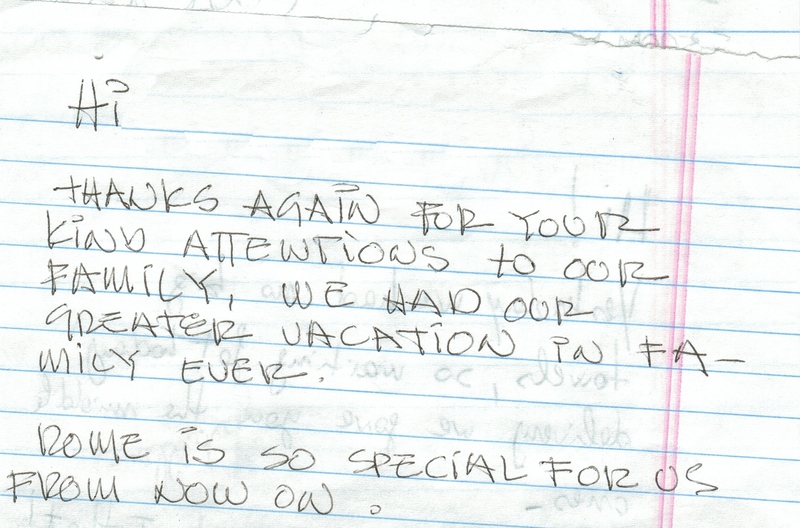 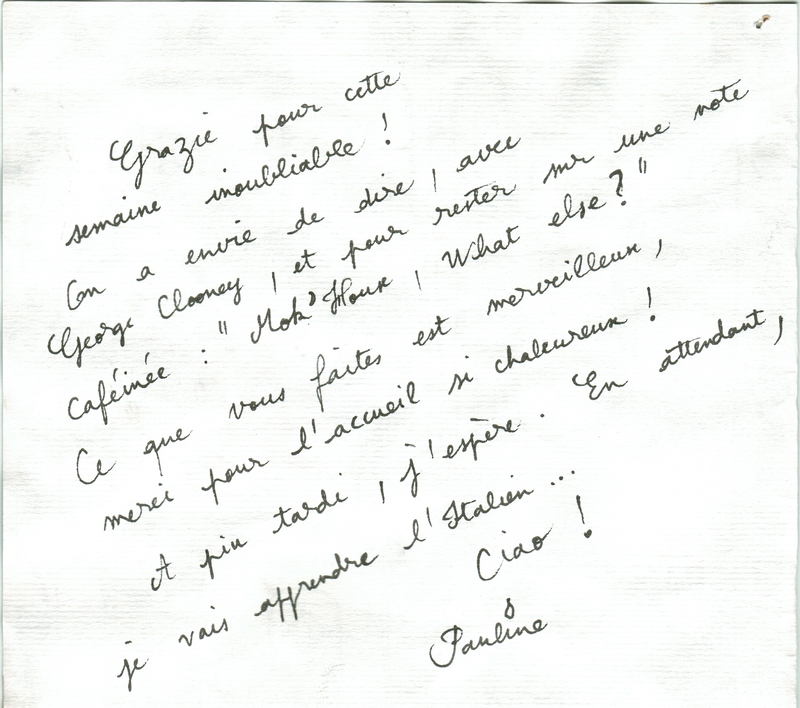 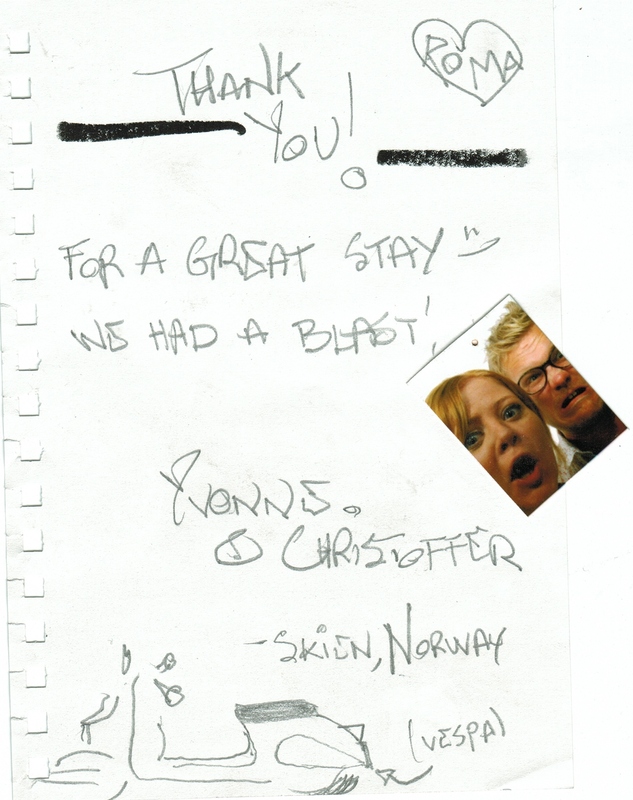 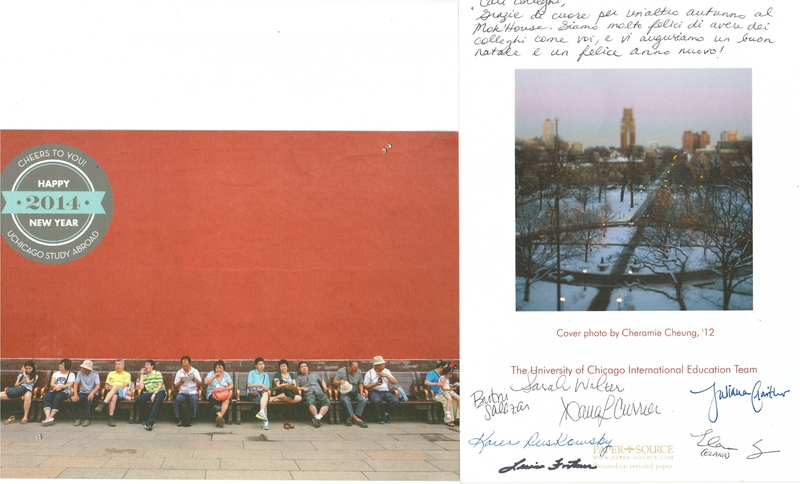 Further below you are also able to read some of the funniest and lovely messages that our guests left or sent us throughout the years.